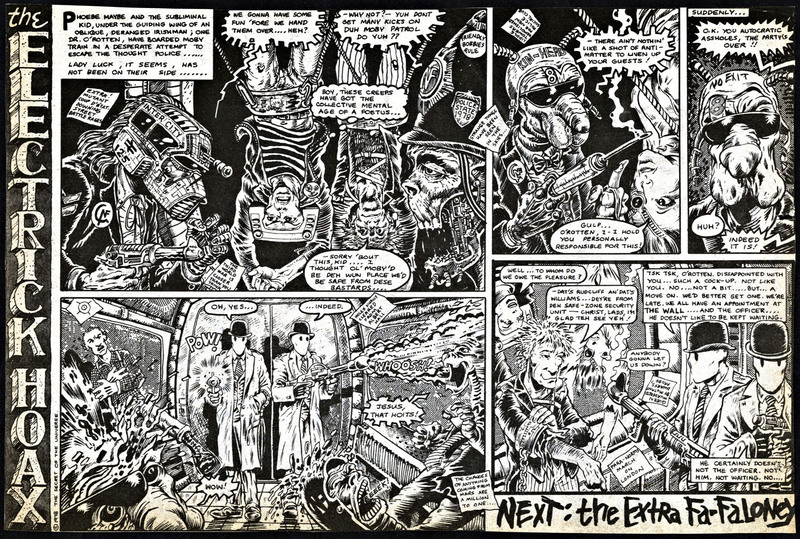 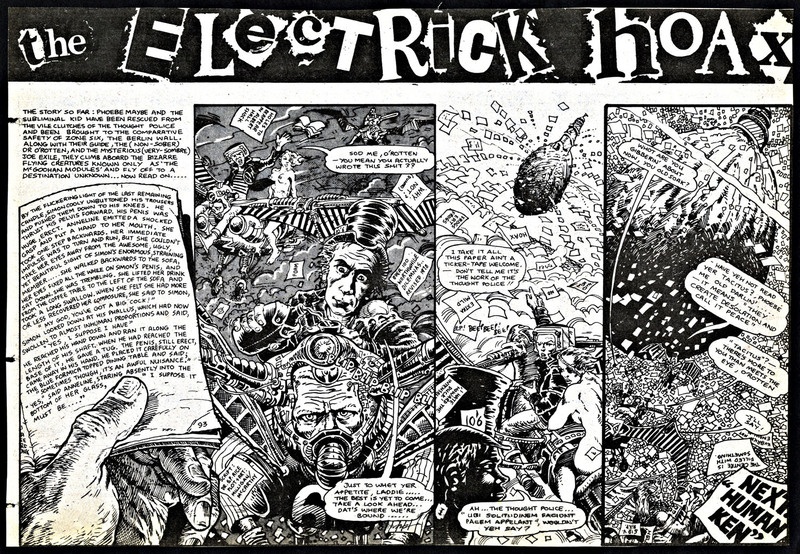 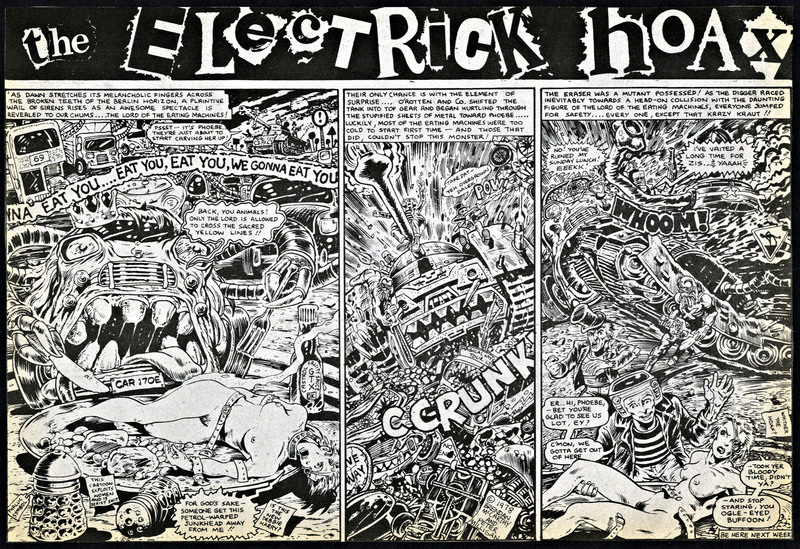 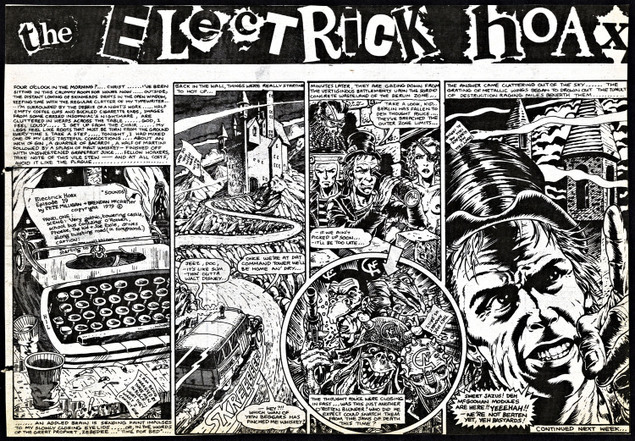 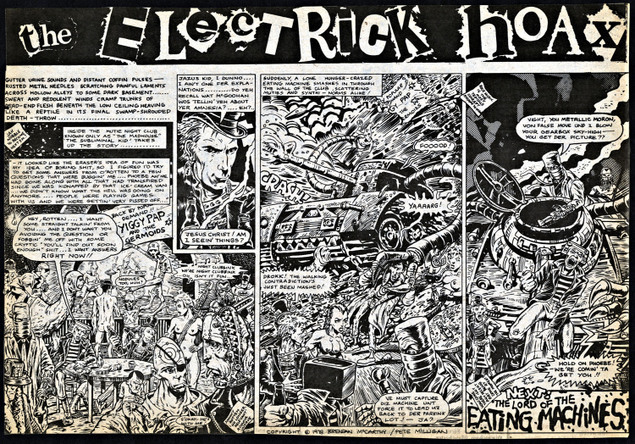 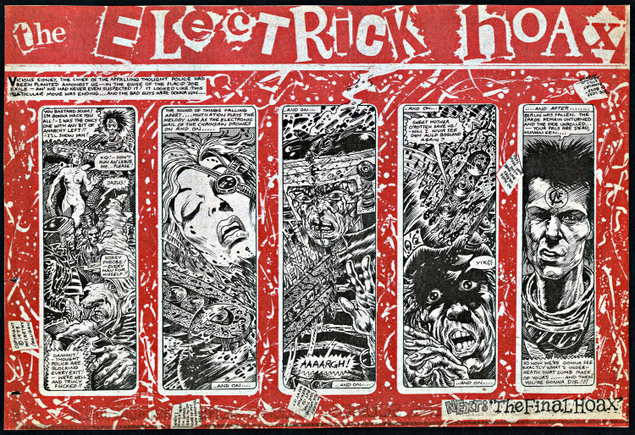 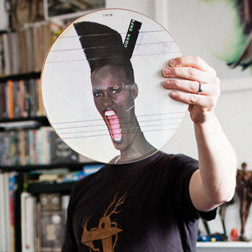 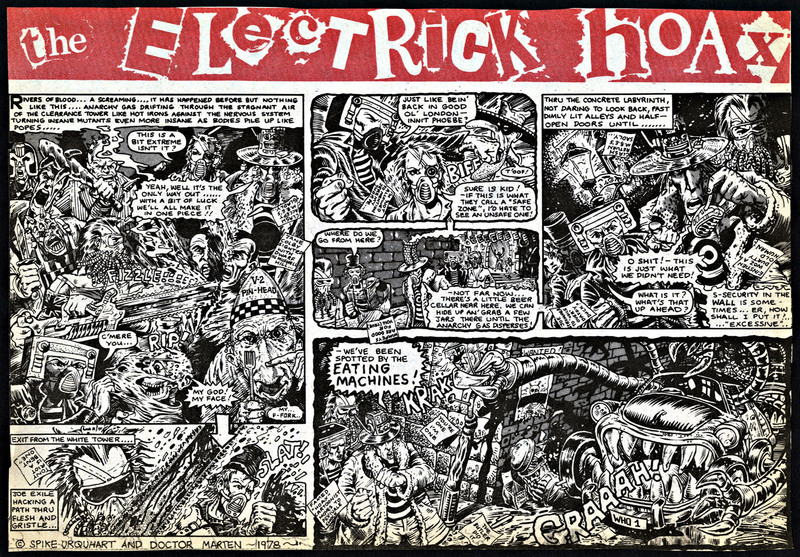 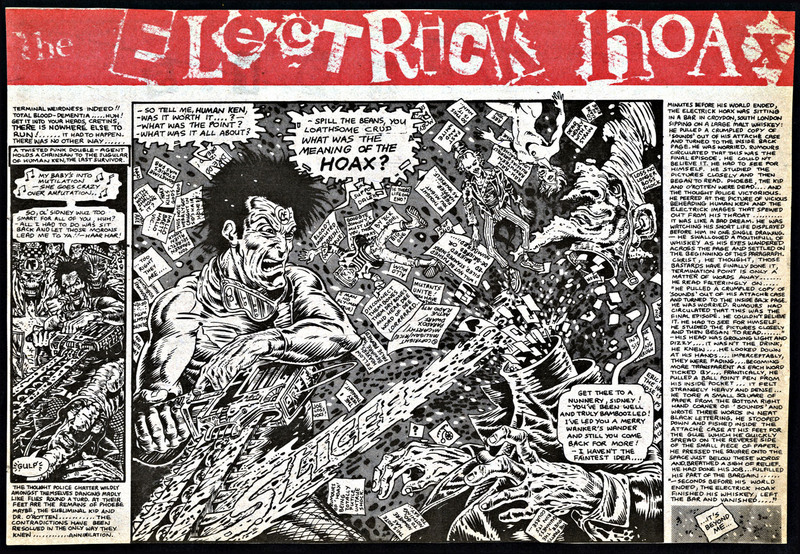 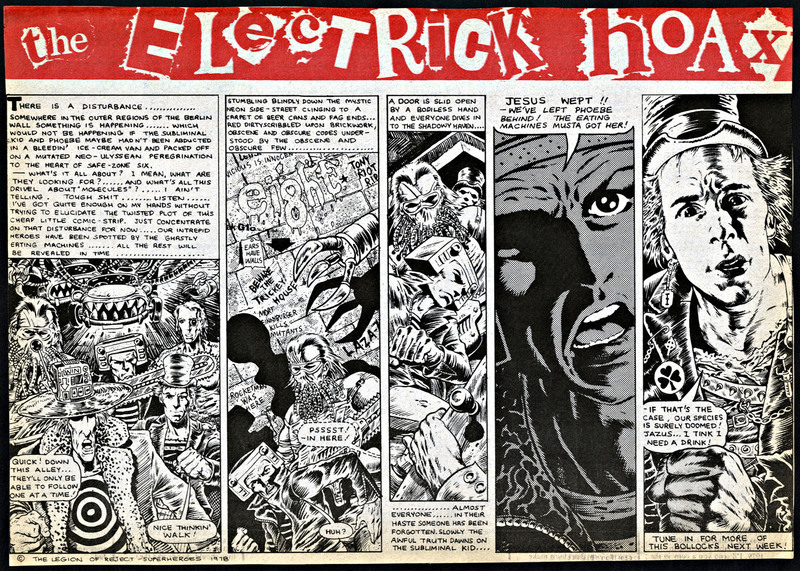 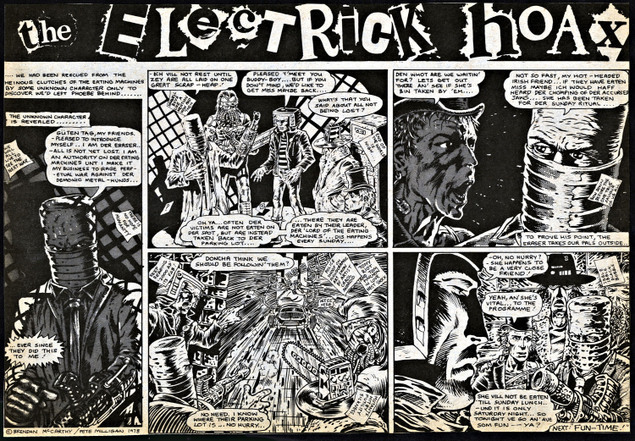 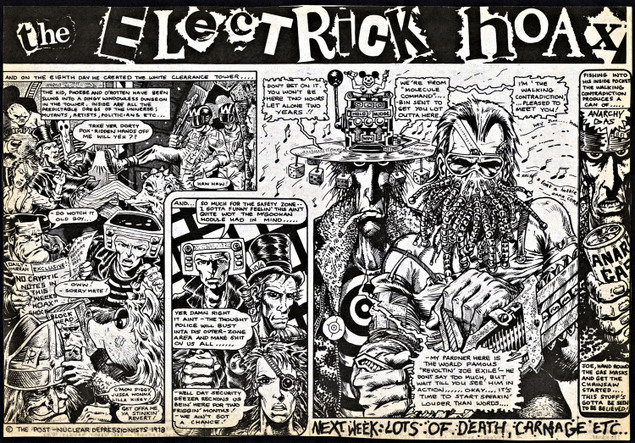 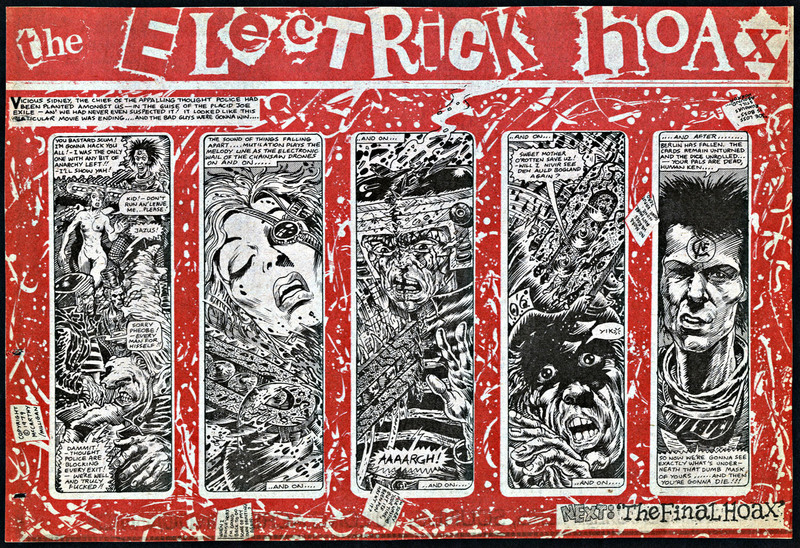 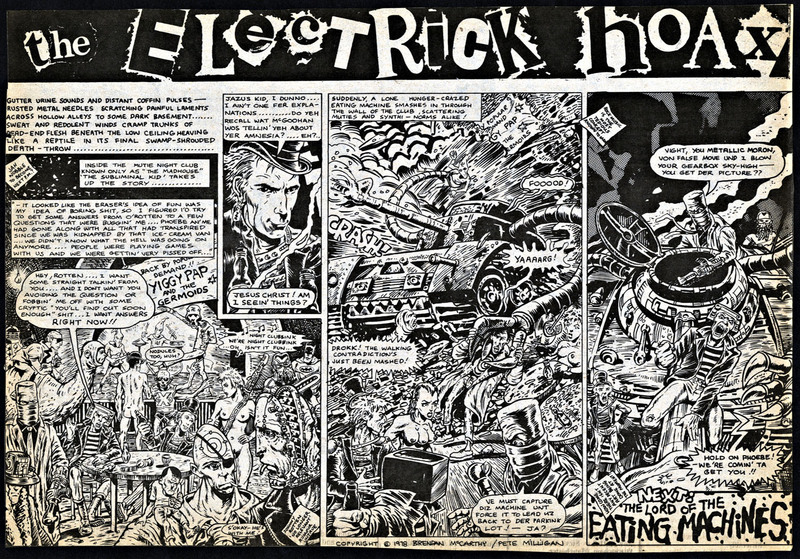 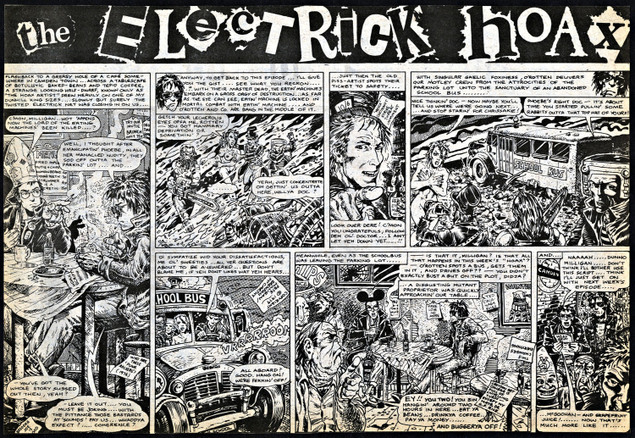 The Electric Hoax Pt.24 by Pete Milligan and Brendan McCarthy. 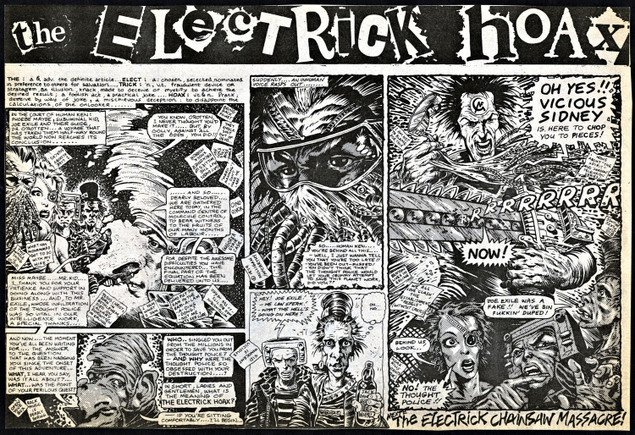 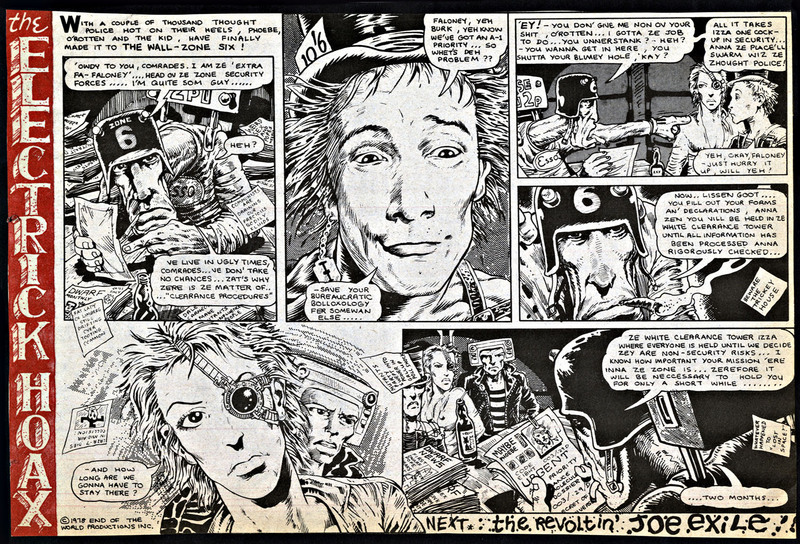 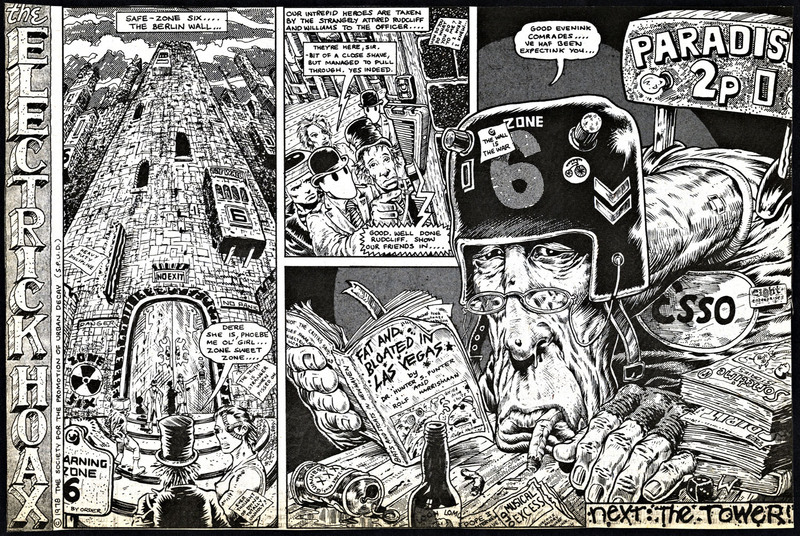 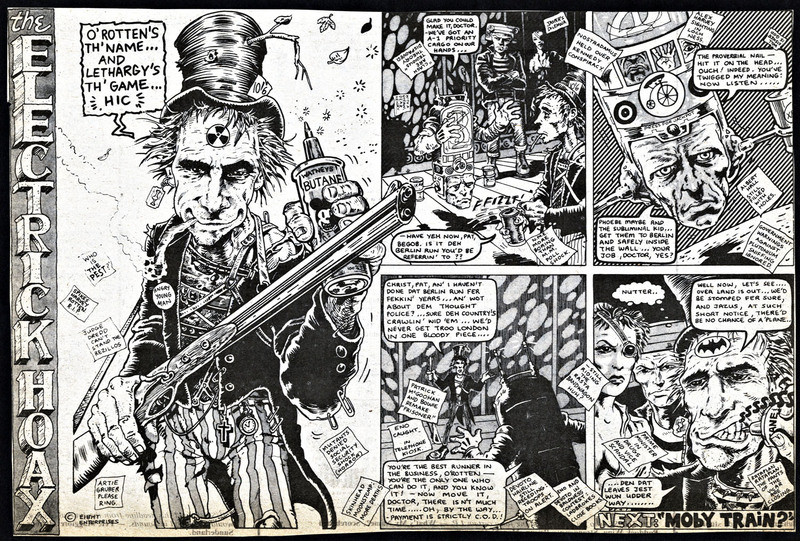 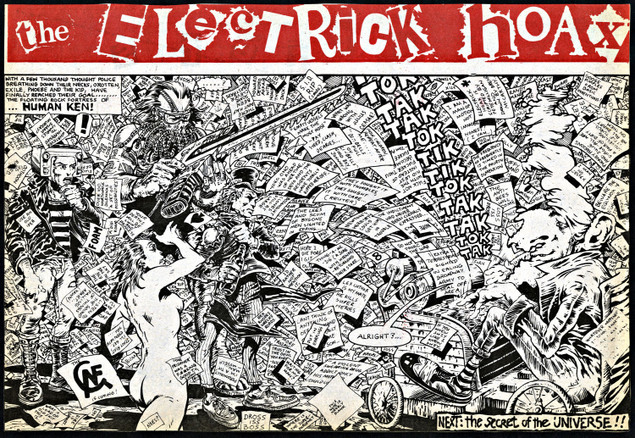 This strip appeared in the weekly UK music paper, Sounds, in 24 parts sometime between mid ’78 and ’79. 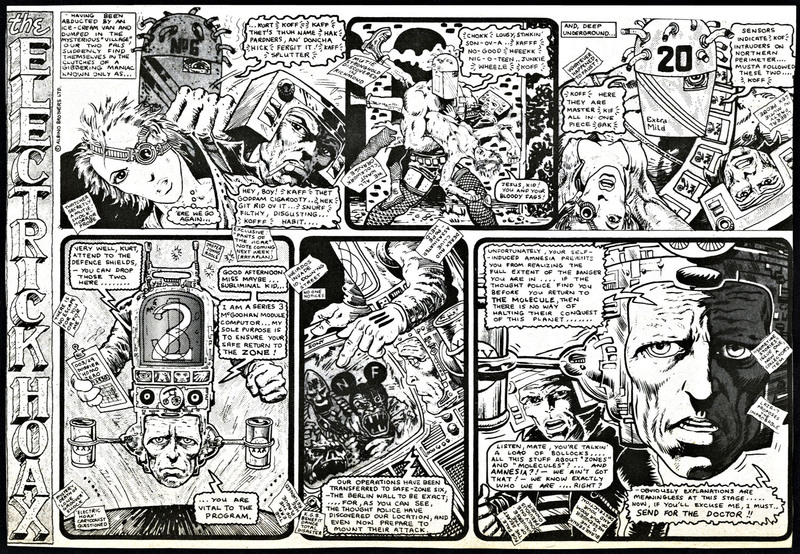 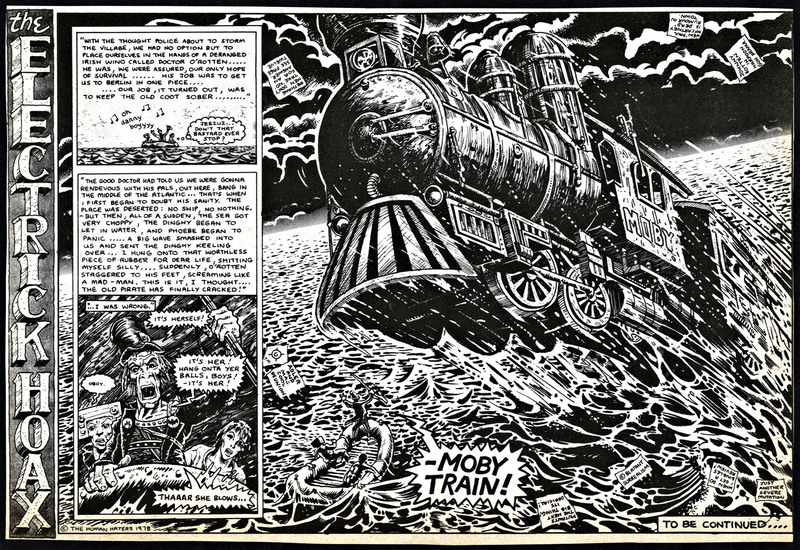 Click image for larger version – the End, thank you for reading.